love the hair hair came in like 4 day very fast . I love this hair I just put it in and it's soft and has very little shedding shipping only took 3 days well certainly order a again. I love this color, it's amazing, and I got so many compliments after own it!!!!! I love it, it’s true to length and very soft, get it in 4 days only. Very happy with the hair, perfect colour, very good quality and the price is cheap! Will order again ! Thank you so much!!! Hair is so soft and my hair arrived in 3 days! Very nice got here before the day I needed it. I am happy I will wear it to take my appointment. 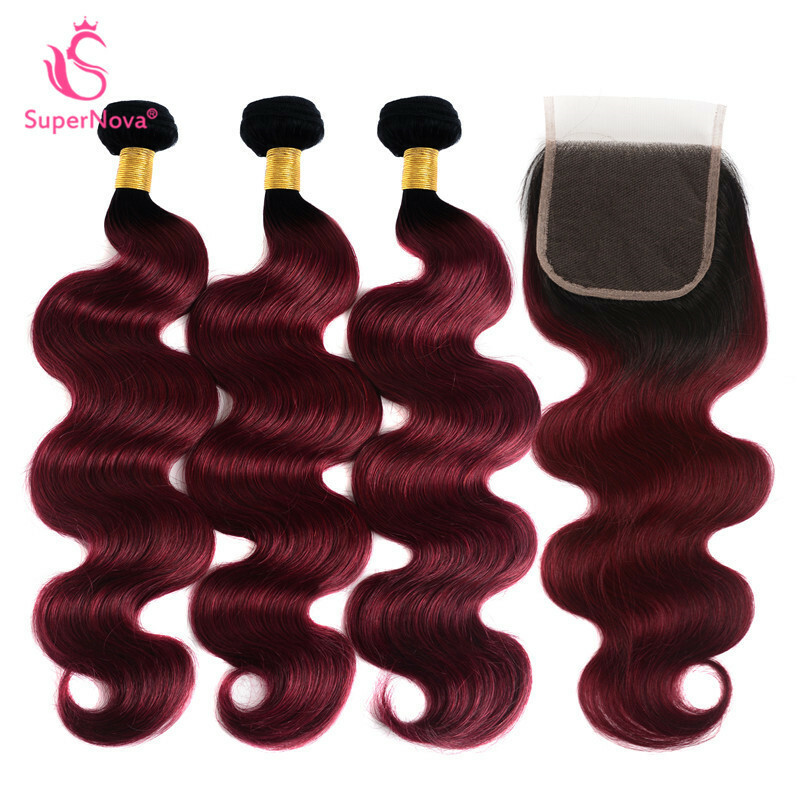 Question about Ombre Hair Body Wave Weave 3 Bundles With Closure 1B/Burgundy is Successfully Submitted.